Memorial Day weekend - the traditional beginning of summer – is over and now it is time to tackle the thrills and chills of rock climbing, sky diving and hang gliding. Maybe not? Okay, how about something a little safer and less strenuous such as – kayaking, because the Northern Wasco County Parks and Recreation is offering adult Kayak lessons designed specifically for us adults who might not be as flexible as we once were. And an added bonus: no experience is necessary. Now are you interested? The instructor will get you started and build your confidence in these sit-on-top kayaks - ideal for comfort and stability. The classes will be from 9:00 – 11:00 on June 8, July 13 and August 10 and the cost is only $20.00 which includes the equipment. Register by calling 541-296-9633. And for more information, visit the Kayak Shack webpage at www.nwprd.org/Kayak_Shack.htm. When the Center opened in ’87, horseshoe pits were added at the southeast corner of the Center property. But times change and for many years the horseshoe pits have been functioning more as a safe home for weeds, orphaned flowers and tall grass. But this spring Ashley Johnson, who volunteers in the Meals-on-Wheels kitchen and who I know through Special Olympics, heard about the proposed reduction in public funding for Meals-on-Wheels and thought the horseshoe pits would be the perfect spot to grow fresh vegetables for Meals-on-Wheels. Ashley recruited two good friends, Rusty Hubbard and Jarvin Whitesell, and together they spent many days and evenings weeding, watering, digging and moving dirt to start the garden. Ashley also had the help of many folks including Tim at the Habitat’s Restore Store, Bruce Teed, Staci and Rosa Fuss, Brace Brothers and Gary Patton - and eleven volunteers from MCMC who recently spent a morning helping out. Because of Ashley’s efforts and good will, the vegetable garden is a win-win-win for Meals-on-Wheels, the Center and Ashley and her friends. I didn’t know, but now I do: Mid-Columbia Fire and Rescue is distributing to older adults free smoke alarms that MCFR received through a state grant. But they will have to install them which isn’t a bad deal – free smoke alarms with free installation. If you are interested, call the Mid-Columbia Fire and Rescue at 541-296-9445. It’s the “Jazz Generations” performing at the Center tonight. And next week on the fifth Tuesday, “For the Good Times” will be playing for your dancing and listening pleasure. (And once in a while I like to throw in a brain scrambler to see if you still have all your marbles. See if you can read the rest of this paragraph.) We’l lpu llu pth eru gsa ndp ush bac kth eta ble sso you can dan cet oyo urh ear t’sc ont ent ort ill you rle gsw ear out. Mus ics tar tsat 7:00, eve ryo nei sin vit eda ndd ona tio nsa res ugg est ed. On May 18th the Center hosted its first Team Trivia Night - first, because we are going to do it again for old time’s sake on Friday June 22nd from 7:00 – 8:30 PM. For the first night, there were three teams with the friendly competition won by Jim Heitkemper’s intergenerational team of his mother, wife and grandson. I’ll remind you again before the 22nd, but you may want to start recruiting your team. Until then, I’ll continue to use some of the questions from the first Team Trivia Night for the weekly “Remember When” question. I didn’t receive one correct answer for last week’s “Remember When” question until I spent last Thursday morning on the Coffeebreak with Al Wynn who knew the answer (which earns him a free Saturday breakfast). The correct answer is G Gordon Liddy: chief operative of the White House Plumbers unit and who directed the Watergate burglaries of the Democratic National Committee headquarters in May and June of 1972. But enough political espionage. Let’s get back to the movie escapism of Hollywood. 1940’s films such as The Big Sleep, The Maltese Falcon, Double Indemnity, and The Third Man were known for combining crime dramas with dark, stylized imagery. What is the name of this film style? Email your answer to the mcseniorcenter@gmail.com, call 541-296-4788 or include it with a first edition of any Dashiell Hammett detective novel. Well, it has been another week, looking for a noun in a city of verbs. Until we meet again, keep the tunes humming, the stories coming and the body moving. How many drug ads can you tolerate during the evening news? Boniva, Paxil, Celebrex, Fosamax, Lunesta, Nexium, Paxil, Vesicare - describing how they will improve your health and well-being. And the ads have to mention all the possible side effects: nausea and diarrhea; dry mouth and sweaty palms; incontinence and constipation, sleeplessness and drowsiness; bad dreams and bad luck. But what do you really know about these miracle drugs? Before you take any medication be a smart consumer and educate yourself first. Check out the Planetree Health Resource Center or the website MedlinePlus hosted by the National Library of Medicine where you can find trusted health related information. But the best option is to ask your healthcare provider: your doctor, dentist or pharmacist, so you can get the best results and prevent dangerous combinations of medicines. But what should you ask? Here are ten questions from the “Educate before you Medicate” presentation that was held last week at the Center. 1) What is the name of the medication and what is it supposed to do? Basic stuff but often overlooked. 2) When and how do I take it? Make sure you understand the instructions. 3) How long do I take the medicine? Always finish your medicines unless otherwise advised by your healthcare provider. 4) Does this medicine contain anything that can cause an allergic reaction? Don’t forget to describe any pass reactions you have had to medications. 5) Should I avoid alcohol, any other medicines, foods and/or activities? You don’t want any unexpected reactions. 6) Should I expect any side effects from this medicine? Also find out who you should call if you experience any of the symptoms or have questions. 7) What if I forget to take my medicine? For some medicines missing even one day can be important. And never double your medication without consulting your healthcare provider. 8) Is there a generic version of this medicine that can be prescribed? A way to save money when the cost of prescription drugs can be prohibitive. 9) How should I store the medicine? Always keep medicines away from heat, light and moisture. 10) Is it safe to become pregnant or breast feed while taking this medicine? Probably not a problem for any one reading this column! No drug is perfect. It is always a balance between the benefits and the side effects. But it is your body, so don’t hesitate to find out more about the medications you are taking. I need to make a correction from last week. Next week’s Tuesday Lecture is about Whooping Cough and not the newly identified Whopping Cough: a cough caused by breathing in too many excessively large hamburgers in an exceedingly short period of time. But on the 29th at 11:00 Jenny Tran, a local pharmacist at RiteAid, will explain more about the ral Whooping Cough (Pertussis) and how to protect infants, who are most at risk, by creating a “cocoon of protection” around them to keep them safe. Consequently, vaccinations are highly recommended, especially for grandparents and babysitters. Contact your local pharmacist to learn more about the booster shot (Tdap) to protect yourself and the babies in your life. It’s the Jazz Generations performing at the Center tonight. And next week on the fifth Tuesday “For the Good Times” will be playing. We’ll pull up the rugs and push back the tables so you can dance to your heart’s content or till your legs wear out. Music starts at 7:00, everyone is invited and donations are suggested. There were many folks who called or emailed the correct answers to last week’s “Remember When” question. But no one remembered the “Day the Music Died” as well as Steve Bungum (the winner of a free Saturday breakfast) whose home in Iowa was ten miles from where the plane crashed carrying Buddy Holly, Richie Valens and J. P. (The Big Bopper) Richardson. But the answer to this week’s question occurred more recently - only forty years ago. In May and June of 1972, who organized and directed the Watergate burglaries of the Democratic National Committee headquarters? Email your answer to the mcseniorcenter@gmail.com, call 541-296-4788 or include it with a case of Teflon plumber’s tape. Well, it has been another week, listening to a digital world with transistor ears. Until we meet again, when it seems like you are constantly taking one step forward and two steps back, put a little swing in your hips and just imagine you are dancing. It is a busy week ahead. So without any further ado, here is this week’s coming attractions. Tonight at the Center, Truman will be playing his “Country Gold”. And next Tuesday on the 22nd the Jazz Generations will be back playing the big band sounds for your dancing and listening pleasure. Doors open at 6:00, music starts at 7:00, everyone is invited and donations are suggested. Thursday May 17th will be twenty five years to the date since the Senior Center held its first open house in 1987. To celebrate twenty five years supporting older adults in the Mid-Columbia, the Center is hosting a 25th Year Anniversary Open House - starting at 11:00 with displays and demonstrations; followed by a special dinner at noon provided by Meals-on-Wheels. 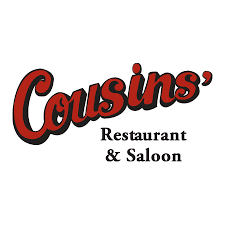 At 1:00 there will be a program with invited guests John Mabrey and Bill Hulse, who were respectively The Dalles mayor and Wasco County Judge in 1987; as well as Betty Harlan who was the manager at that time of Meals-on-Wheels. The Open House will conclude with every ones’ favorite – cake and ice cream. On Friday May 18th, the Center will host a Team Trivia Night celebrating this year’s theme for Older Americans Month “Never Too Old to Play”. The action will start at 7:00 and will continue until we finish the two rounds or the majority of folks fall asleep - which for me will be around 9:00. The questions cover three areas: Events, Culture and Sports and include all the decades from the 30’s to 2000. So you may want to bring one of your younger friends. But there are many other activities at the Center that would fit the “play” category. Jody Cochenour (541-296-5692) is looking for more Bunco players to play every third Tuesday from 1:00 – 3:00; there is Mahjong (the Chinese version taught by Corliss Marsh) most every Friday from 1:00 – 3:00. And also at 1:00 on Fridays, the bridge group welcomes new players from experienced to beginners. And if you want to learn the computer, which could either be considered play or torture, there is help available every Wednesday from 9:00 – 11:00. 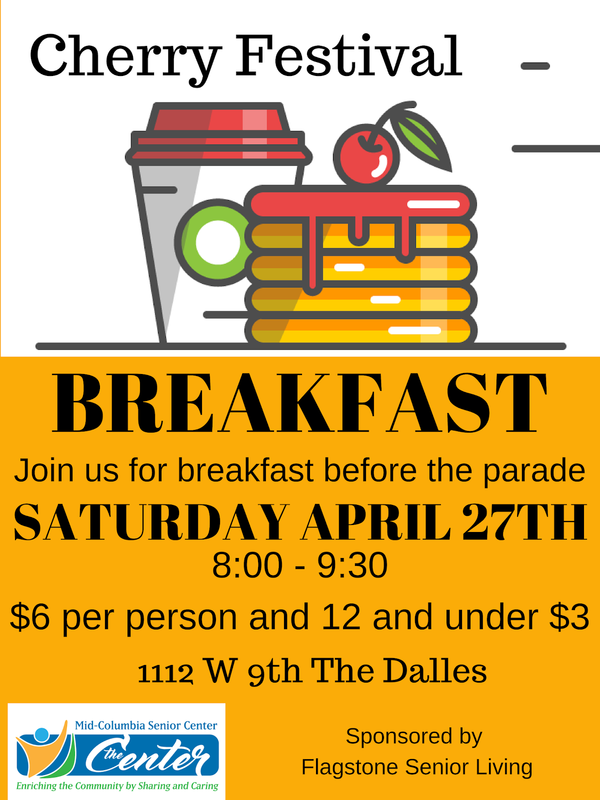 It is already time for May’s Saturday Breakfast on the 19th from 8:00 – 9:30 AM sponsored this month by The Dalles Health and Rehabilitation Center. The menu will include biscuits and gravy, bacon, scrambled eggs and fruit as well as your favorite beverage. Come and enjoy a delicious breakfast with friends and neighbors. And there is plenty more action in the Gorge. Noon on Saturday May 19th at the Discovery Center, Jerry Tanquist is presenting his slideshow on the OR&N and The Union Pacific Railroads. Also on the 19th the Compassion Tea for the Relay for Life is from 2:00 – 4:00 at the Untied Church of Christ Congregational (541-298-1602). On Sunday the 20th, the Mad Hatter’s Tea Party, a fundraiser for Opportunity Connections, will be at the Columbia Gorge Hotel from 2:00-4:00 ($25 at the door). And if none of that fits your style, there is the 16th Annual Tygh Valley All Indian Rodeo on Saturday and Sunday starting at 1:00 with a $5.00 admission. 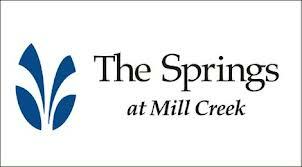 The next 11:00 Tuesday Lecture at the Center hasn’t been decided yet, but on May 29th there will be a presentation about the highly contagious disease Pertussis - commonly known as Whopping Cough. Pertussis has reached epidemic levels in Washington and parts of Oregon (there has been one confirmed case in The Dalles). It is most serious for infants and children, but adults can also have complications from the disease. The Tuesday Lecture on May 29th will provide more information about Pertussis: what are the risks for older adults and what steps can be taken to avoid the spread of the disease. For this week, I have asked part of the question before, but here is the whole sandwich. “They say the music died when these three musicians’ plane crashed in February 1959. What were all three of their names? Email your answer to the mcseniorcenter@gmail.com, call 541-296-4788 or include it with a picture of Waylon Jennings who was one of the band mates and gave up his seat on the flight. Well, it has been another week, wondering if I have been here before. Until we meet again, don’t take for granted what you encounter every day. As we age why don’t we play as much – we certainly have the time. Are we too tired, too cautious or too self-conscious? Or are we looking for types of play that are more adult, more challenging and finding too few opportunities? May is Older Americans Month and this year’s theme “Never too Old to Play” tries to dispel the common perception that play, like Trix cereal, “are just for kids”. Instead it promotes the idea that play is a vital component of healthy aging. There is not a clear definition of play, but it is often described as doing something “just for the sake of it”. And it can include social play, imaginative play and physical play. But even though the understanding of play is unclear, there has developed a greater appreciation of the value of play for all ages - including older adults. Dr. Stuart Brown, director of the National Institute for Play, believes play has an important physiological and neurological function - just like sleep and dreams. And our bodies are designed to play throughout our lifetime. And why not? Play offers a chance for anyone at any age to explore new imaginative worlds and engage in new social and physical activities - providing many personal benefits including greater social interaction and increased optimism. By expressing yourself, play also offers control, choice and freedom - which are often gradually lost as you get older. Think back over your life - what types of play did you enjoy? You may no longer be that twelve year old playing kick –the-can on a hot humid night in Indiana, but use those playful memories to find something fun (and maybe crazy) to do now – just for the sake of it. And if your kids think you are nuts - all the better. Just tell them they need to grow up. The Center’s 11:00 Tuesday Lecture on the 15th is “Educate before you Medicate” a special presentation made possible through a grant received by YOUTHTHINK. From this presentation you will learn the importance of informing your health care provider, dentist and pharmacist about all the prescription medicines, over the counter drugs, vitamins and herbal supplements you are using (in other words, any pill you stick down your throat! ); how to ask the appropriate questions to make sure you avoid the dangers of unsafe combination of medicines; and how to use a medicine record form to keep track of the prescription medicines and any other pills you take. Once again the Center is moving through the monthly dance card with Martin and Friends performing tonight and Truman playing on the 15th. Join one of the Center’s most popular activities with forty to sixty folks listening and dancing the night away. Doors open at 6:00, music starts at 7:00, everyone is invited and donations are suggested. Every week my mailbox is stuffed with answers to the weekly “Remember When” question – well, not exactly - but that isn’t my goal (although I do appreciate the emails and phone calls). Rather, I hope each week’s question might uncover forgotten memories tucked away: screaming at the Beatles in Portland, reading the Whole Earth Catalogue during your bell bottom, bead wearing days, or listening to Guy Lombardo on New Year’s Eve. As important as it is to explore new knowledge and experiences, it is also important for your brain health to recall the emotional memories of past experiences that make us the social beings we are. Test yourself each week, but I also hope each question brings back fond memories of “once upon a time”. This week’s “Remember When” question may bring back memories of the “generation gap” during the sixties. What was the name of the musician that shocked the world and angered many fans when he played an electric set of music at the 1965 Newport Folk Festival? Email your answer to themcseniorcenter@gmail.com, call 541-296-4788 or include it with a map of Highway 61 from Minnesota to New Orleans. Well, it has been another week riding shotgun in the 56’ Chevy of life. Until we meet again, keep your eyes on the road, hands on the wheel and don’t take your foot off the gas.